AMODIT has two main types of users: internal and external. Internal users are usually employees and they have access to almost all features (except for administrative ones). External users are usually people who interact with the system and play some roles in processes but they are not employees. For example they can be customers, potential customers, applicants etc. They have limited access to functionalities and only to selected procedures. Important difference between these types of users is also that external users create accounts themselves and do NOT need to be acepted nor verified. 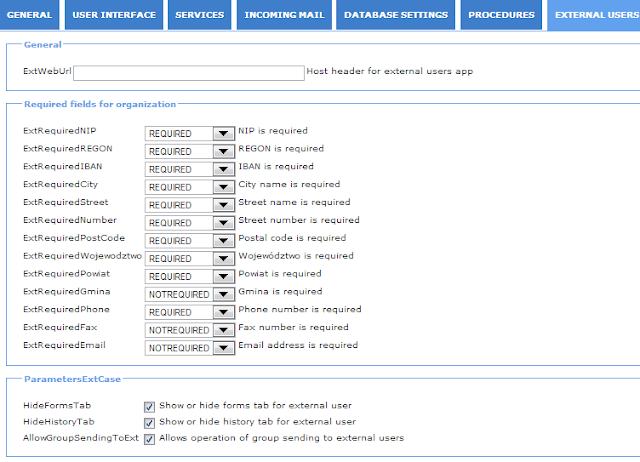 During registration external users create external organizations and then manage them. 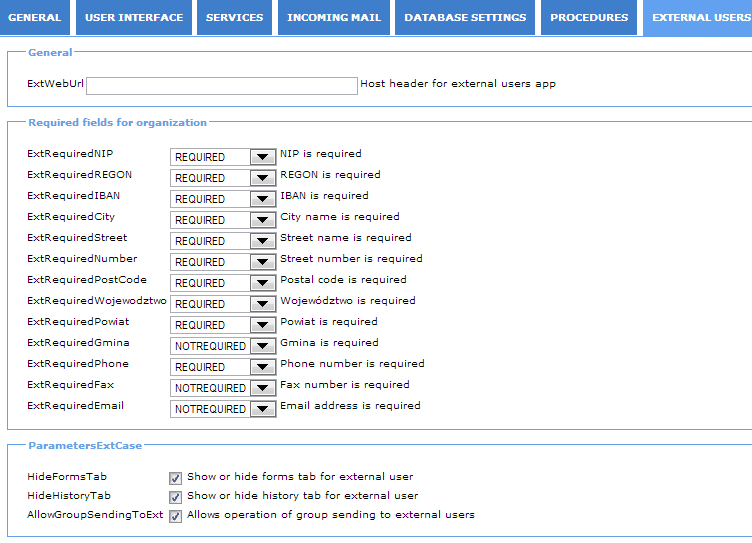 In new version of AMODIT there are some new options for customizing interface for external users. For example you can define which fields show up on registration form. And also you can decide which functionalities should be hidden. Hiding form fields "on the fly"